After purchasing Anders´s wonderfull B6 replica, i started thinking about a brake upgrade. I remembered a post maybe on another forum regarding that topic, but i can´t seem to find it. 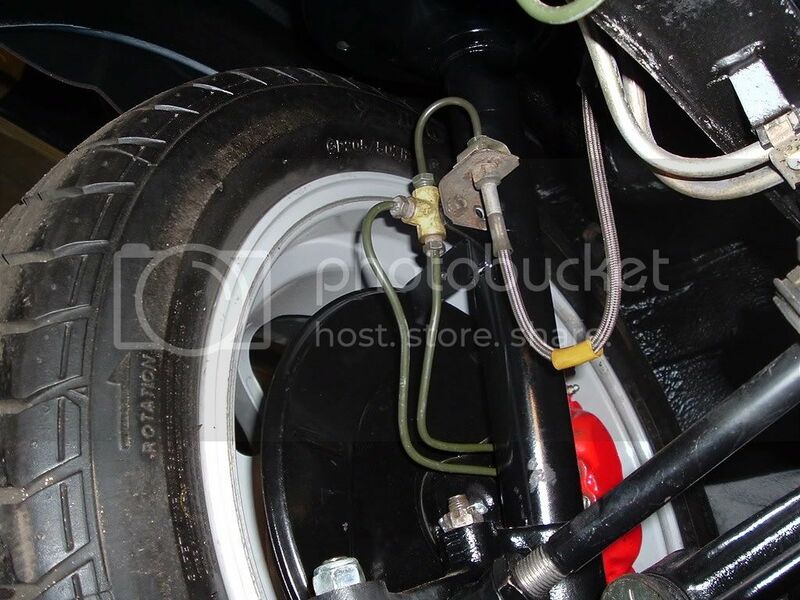 I got a volvo 240 4-piston caliper that fit´s nicely on the front strut mounting points but a little offset(a washer can fix that) but what brake disc can i use? The 323i 255 mm ventilated disc is not near big enough(great! a larger disc) so who has been down this road and found out what disc to use with the right size and offset? Nope, the calipers (Girling items just like on many E21's) are good. But I believe they were used with the stock vented discs (rotors)? The E21 vented discs are 255mm, the E30 325i for example has 260mm. Maybe it fits, dunno. 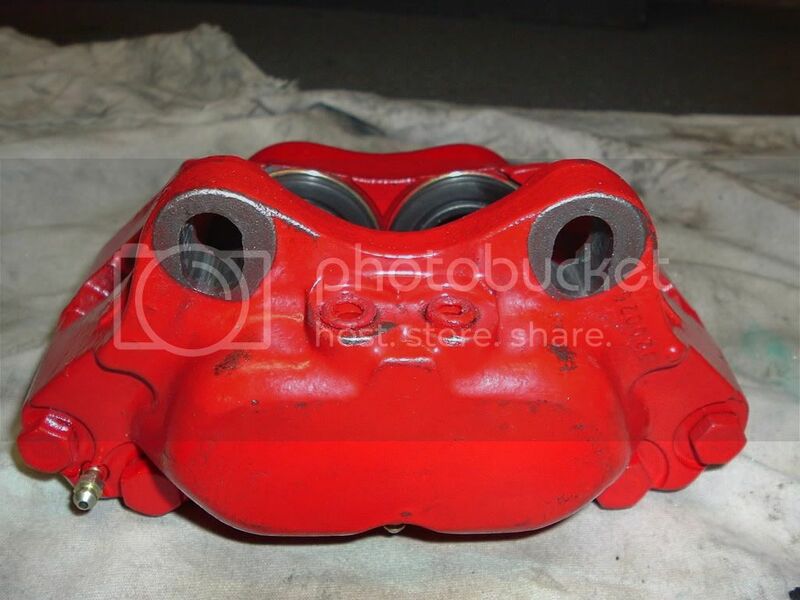 Otherwise... there are some more serious big brake kits like from Tar-Ox... but I dunno if they're still available. And most times they require 15 or even 16" wheels. It doesnt fit, the offset is incorrect (the E21 is much larger). As jeroen said, girling calipers from a volvo were the go, you use the stock vented 323i rotor though. The caliper was designed for a larger rotor so you end up with some overhang, most people notch the holes to position the caliper correctly. Maybe, but these calipers are the single piston sliding type. A setback compared to even the stock twin pot calipers in my view. 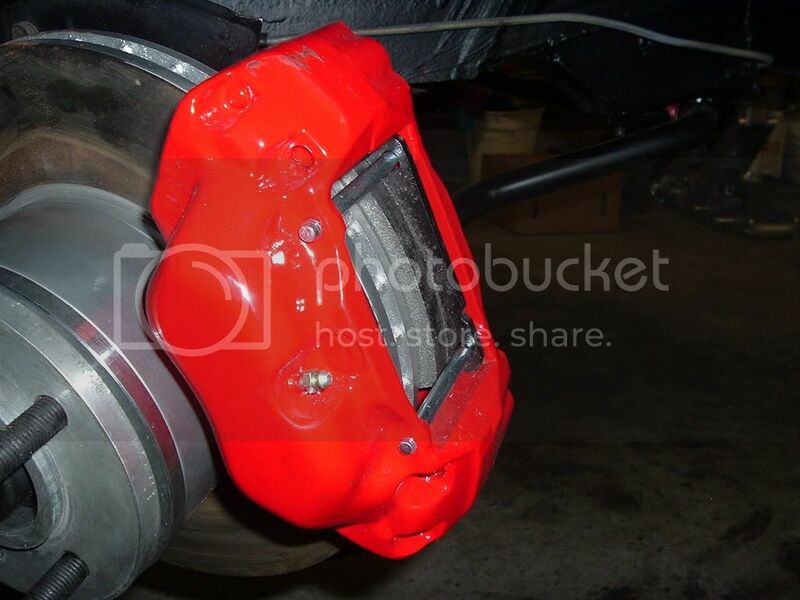 But if you´re interested i have a set of E36 M3 calipers lying about! Madhatter, i just read a writeup concerning exactly that. That may be a good route if i can find some serious 323i disc´s. what do you mean serious 323i discs? All 323i rotors are 255mm, you can get aftermarket options in a choice of pretty much anything, cross drilled, slotted, weird patterns, etc. I provided the dimensions of the hat in that link, pretty much any rotor/hub that matches those dimensions would fit. Like rasb1 I wasn't feeling too keen on bolting Volvo parts to my E21, so I shopped about a bit. My calipers, off a 323i, were made by ATE, I think. Any other brands are/were standard for the e21? Checked with Partsbin.com and one of the choices was a 2pot Girling?? OK i think will choose one of either routes, both including the volvo 4-piston calipers i got for free. 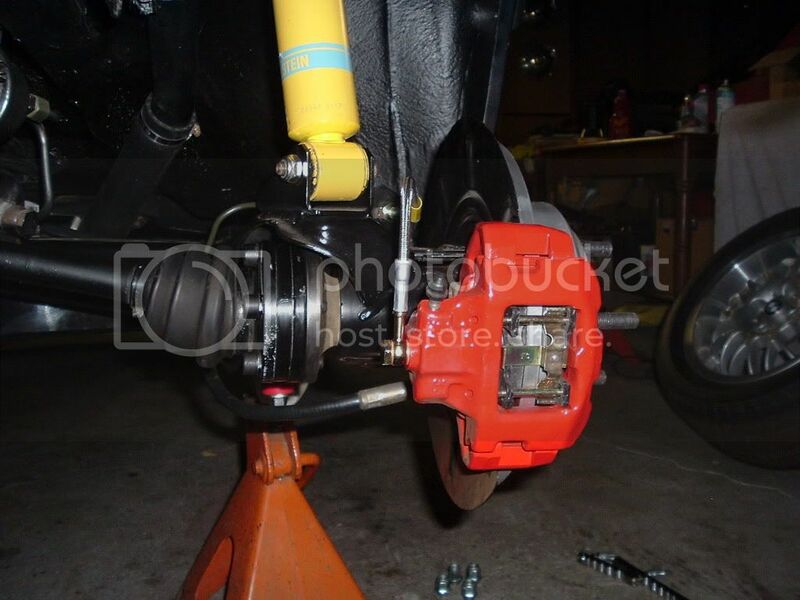 Option 1: Change the mounting points for the calipers, in order to retain the stock disc size. Of course with uprated disc´s and pads. Option 2: install a disc with the optimum size for the calipers(Around 270 mm) This being made with a 2-piece disc and a bespoke aluminum center section. If you have the rght calipes they bolt right up thee wee two types on the Volvo. The pads set about 3mm over the disks (but so what) but yoy can slot the calpers to fit them. 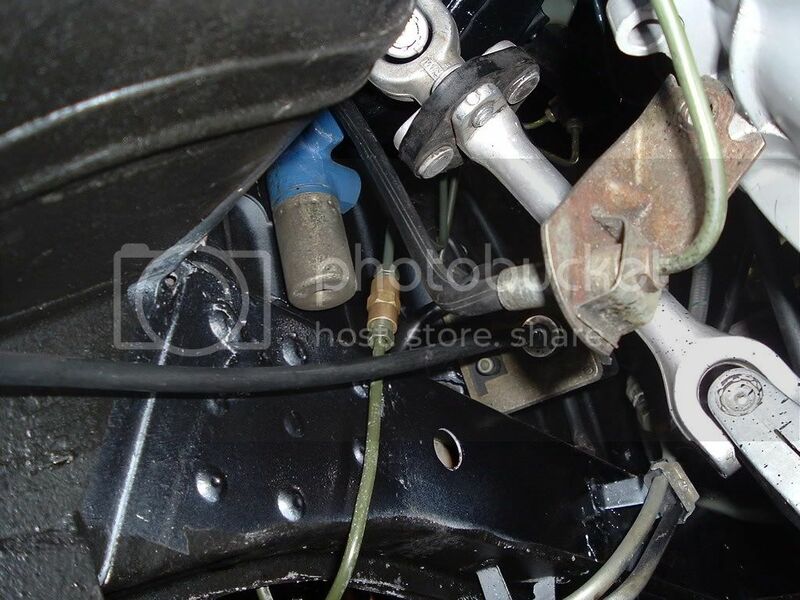 Also you can upgrade the rear with a set of e30 rear calipers on the 323i but yu need to machen them to ft as the bot from the otehr side on the e21, also you need custom brake lines. 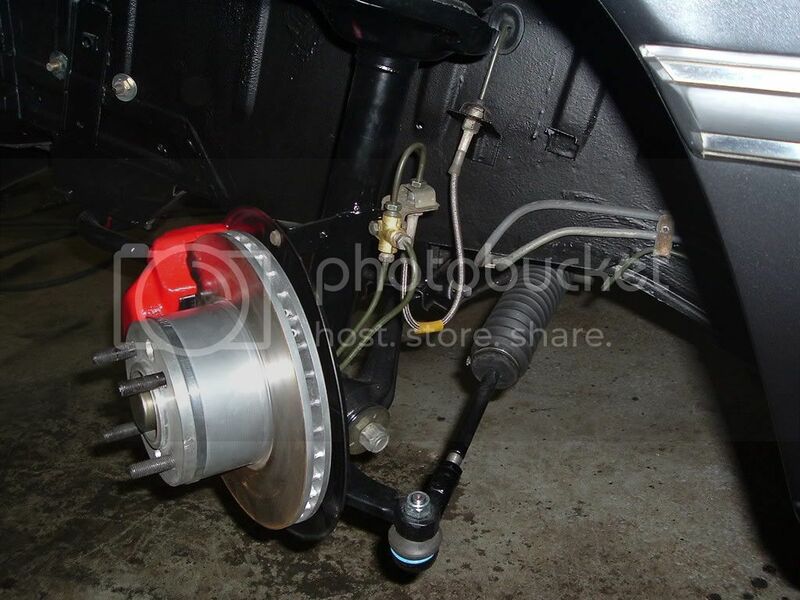 On drum bakes you can use a set of golf Mk3 calipers and e30 rear disks, these kits are sold in the US with a few spacers and a modifesd handbrake cable so you need to work that bit out for your self. I have done this conversion. It was fairly straight forward, but the calipers I bought overhung the rotors by exactly 7mm, not the 3mm that I often see posted. I had to slot them to get them down to 1mm overhang (I used a carbide bit and die grinder), and also used 1.5mm washers to center the calipers on the rotor. I actually went to the hardware store with calipers (measuring calipers) and measured washers to make sure I had all the same thickness (washers tolerances aren't too tight). 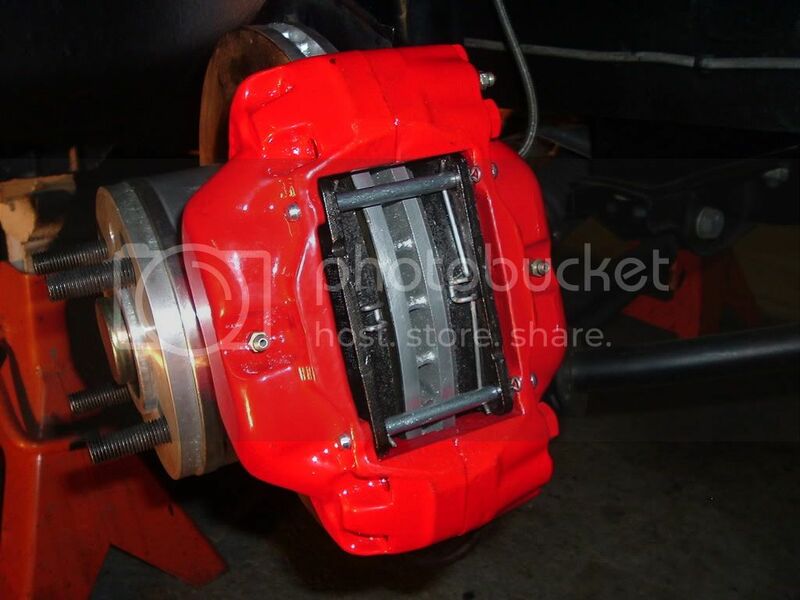 I bought my calipers brand new for about $60 USD each at http://fcpgroton.com/volvo240brake.htm, but prices have gone up since then. I bought part #5002028X and 5002029X, a hardware kit, and metal master pads. This put the caliper so far back that i had to grind a little material off of the front strut where the caliper mounting bolt holes are for brake pad clearance. BTW, I have the clips installed backwards in the pic, they should be over the metal backing plate on the pads. I decided to use the E21 master cylinder for now because I already had a new one. I used a metric brake "T", bought mine from a VW supplier, but its the exact same "T" that is used in the rear brake circuit. Also, If you are doing a big front brake swap and a rear disk conversion, you should consider an adjustable proportioning valve. I used a Wilwood valve (bought from summitracing.com) pretty cheap, and looks good too. I had to use a combination of metic and SAE bubble and inverted bubble flares to adapt it into the system. Summit's wilwood valve is SAE, but I have read that Ireland Engineering sells a metric version. Front brake line routing. I bought brake metric brake lines at Autozone for a few bucks (along with their rent-a-tool cutter and flare kit) and bent my lines by hand. Despite the single circuit split to 2, the brake pedal feel isn't too soft for my tastes. An E12 cylinder is the best way to go though. 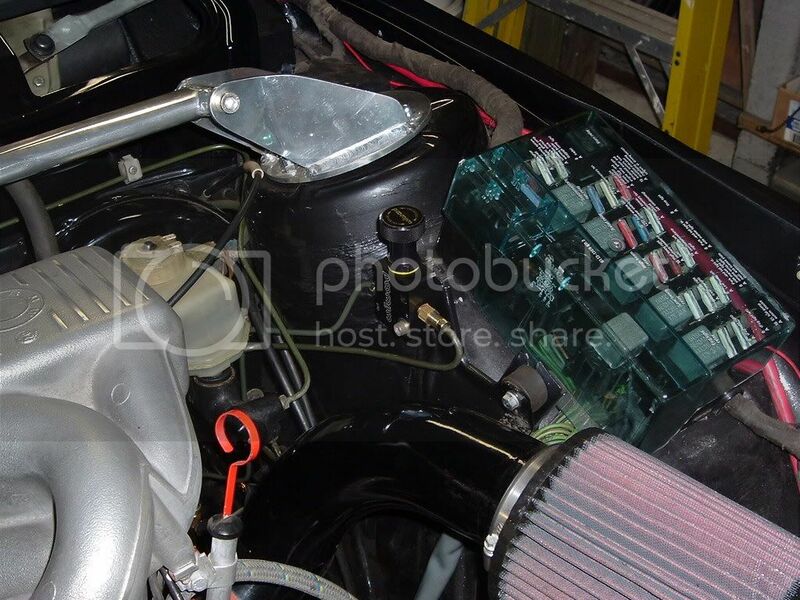 I mounted the proportioning valve on the factory air filter mount, a great spot for easy adjustment. Or you can run the line up into the passenger compartment for in car adjustment. Rear disks are stock E21 323i. Last edited by jrcook320 on Sat Feb 03, 2007 4:47 am, edited 1 time in total. Thanks guys. Now all I need is 270mm rotors so I can push my calipers all the way out.